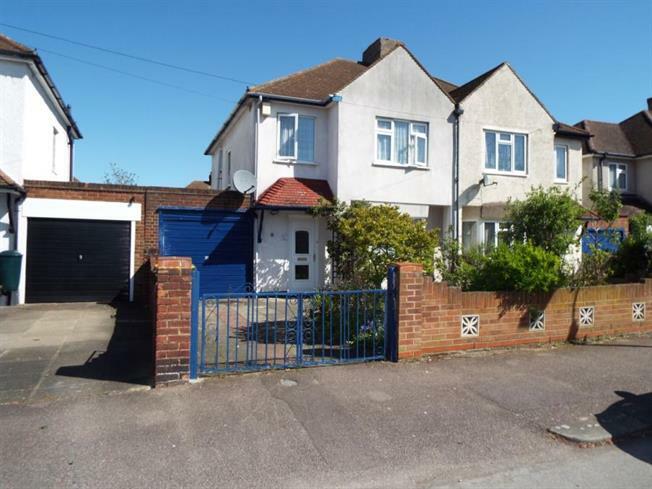 3 Bedroom Semi Detached House For Sale in Bedford for Guide Price £275,000. FEATURED IN THE BIG OPEN HOUSE EVENT- 29th September - please call for viewing arrangements. An excellent three bedroom semi-detached property located on the south side of Bedford. The property benefits from gas to radiator heating, UPCV double glazed windows and downstairs cloakroom. The accommodation in brief comprises of lounge, kitchen, dining room, wc, three bedrooms, family bathroom and single garage. The property is located on the south side of Bedford with great access to the A421 and plenty of local amenities.